A European financial transaction tax on bonds, shares and derivatives trading agreed upon by 11 EU countries on Tuesday would hit end investors, not financial institutions, and could easily be sidestepped through trading in alternative instruments. A European financial transaction tax (FTT) on bonds, shares and derivatives trading agreed upon by 11 EU countries on Tuesday would hit end-investors, not financial institutions, and could be sidestepped through trading in alternative instruments. Critics argue the tax could harm European economic growth, direct flow from continental exchanges to London and increase use of instruments to bypass the levy. Adrian Fitzpatrick, head of investment dealing at Kames Capital, believes the tax will hit end-investors, not banks, and is evidence of undue political interference in financial markets. “The underlying client will have to pay the charge, not the institution. Those penalised will be the pension funds, which are invested in by regular savers,” Fitzpatrick said. According to Matti Leppälä, secretary general and CEO of the European Federation for Retirement Provision, pension funds stand to lose out in particular. “Pension funds and other institutions for occupational retirement provision would be deeply affected by this type of a tax. It would increase costs, which would in the end be borne by beneficiaries,” Leppälä said. "Many pension funds need to protect their liabilities from market volatility with derivatives. Increasing costs for this and putting disincentives for using protection would increase risks." 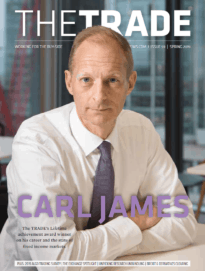 Simon Lewis, chief executive of the Association of Financial Markets in Europe, added the tax would set Europe back and create a net deficit as trading will migrate to European venues unaffected by the scheme. “We have always said that the FTT is a flawed idea, which is likely to have serious negative repercussions for the European economy. “Much more debate is needed about the meagre gains expected from this tax and the significant damage it would cause to savers, investors and companies,” Lewis said. 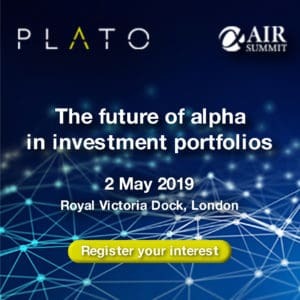 The tax will likely spark a shift towards asset classes that can avoid the tax – such as contracts for differences (CFDs) – although traditional long-only asset managers who are not mandated to use such instruments may simply have to absorb the added fee, according to Fitzpatrick. “Traders might look to other instruments like exchange-trade funds, futures, swaps and someone might create an asset class that bypasses the tax or uses some form of fungible instrument like a dual-listed stock. Politics and markets don’t mix, but unfortunately we’re politically driven right now. “If you look at the French model it applies to French stocks with the highest capitalisation so unless you trade a CFD or some form of swap you’ll have no choice but to pay the charge,” Fitzpatrick said. The French FTT implemented in August, places a 0.2% charge on all net buys of shares in Paris-listed companies that have a market capitalisation of over €1 billion. The 11 countries that agreed to the Europe-wide scheme in Tuesdays meeting in Luxemburg include Austria, Belgium, Estonia, France, Germany, Greece, Italy, Portugal, Slovenia, Spain and Slovakia and further details of the tax are expected to be released before the end of the year.